MusicAngel only represents the best in the wedding market. No bull. No empty promises. Just talent. Imagine a world where a select, talented handful of entertainers roamed the streets , bursting with energy, experience, and the knowledge that they are top of their game. Now imagine a world where these entertainers decided to come together, still separate, still unique, but to be represented under one all-knowing eye, one goddess oozing wisdom who had the ability to offer direction not only to the bands, but to the couples who desperately sought the services of the musicians. MusicAngel.ie is a music label born to represent a hand-chosen and select number of bands in the wedding entertainment world. We make it easier for you to make the right choice in a world where you are bombarded with this band and that band and what-not. Because we only represent the best. Not blowing our own trumpets, but if you make our grade you must be good. No, scratch that – great. And this is the promise we make to our couples. 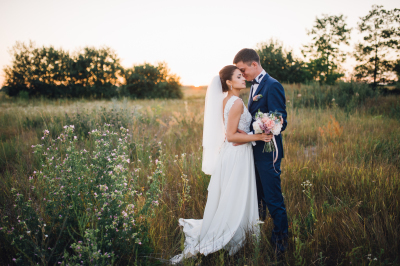 Headed by Niamh Brennan, our wedding music guru and a small team of dedicated angels, we deliver this promise through experience. 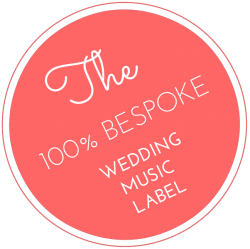 With over a decade of experience in the wedding music market, Niamh knows the score, hand-picks the best bands to bring under one roof, like a functional little musical family. Check out Civil Ceremonies by MusicAngel. This is the sister site to MusicAngel but here we specialise in entertainment for civil ceremonies specifically. We noticed that more and more couples in the wedding world were opting for civil ceremonies and long behold, there just weren’t enough options for them that were of a high quality and provided through one streamlined, vetted group. That’s how Civil Ceremonies with MusicAngel was born. You’ll find a range of top-quality musicians for all tastes, genres and styles over at Civil Ceremonies with MusicAngel. Run by our trusted team at MusicAngel, you can ensure that your booking team are responsive, helpful and there for you every step of the way. Plus – you may just be able to book all your entertainment through the one MusicAngel service and get a budget-friendly package price to boot! Talk to us here at MusicAngel or Civil Ceremonies by MusicAngel for more. Built on the Runway framework for WordPress. Vellum is the next generation of WordPress themes. The most powerful framework to make modern WordPress themes, it's 100% free and loaded with features. Create stunning menus with UberMenu lite, a custom add-on created by the mega-menu master himself, Sevenspark. We include the #1 animated layer slide show plugin, an amazing addition valued at $19, but you get it for free.